Bryan Penn-Johnson, the Huskies' highest-rated recruit, tweets he's going to play basketball at UW and becomes. Midway during Monday’s National Invitation Tournament second-round 85-81 loss at Saint Mary’s, the Washington men’s basketball team received a bit of good news when four-star recruit Bryan Penn-Johnson verbally committed to the Huskies. Penn-Johnson, a 7-foot and 215-pound center at Wasatch Academy in Pleasant, UT, announced his college decision on his Twitter account. “I want to thank my family for always being in my corner and believing that I would be someone great,” Penn-Johnson tweeted. “I also want to (thank) all of my coaches over the years for molding me into the player and man that I am today. And thank you to all of the coaches that recruited me throughout my basketball career. Penn-Johnson is the highest rated 2018 recruit for the Huskies who ranks 85th nationally and ninth among centers by ESPN. Scout ranks him 98th nationally and seventh at his position. Meanwhile, Rivals lists him 110th nationally and eighth among centers. Penn-Johnson, who grew up in Henderson, Nevada, reportedly had 17 offer and drew interests from Oregon, USC, Utah, California and San Diego State. Reportedly, he narrowed his choices to UW, DePaul and UCLA – his final three visits. The Huskies signed four-star shooting guard Jamal Bey, who was the Gatorade Player of the Year in Nevada, as well as three-star point guard Elijah Hardy, and three-star power forward Nate Roberts during the early signing period. Washington also has a verbal commitment from three-star forward Ed Chang, who could reclassify to 2019. The signing period begins April 11 and ends May 16. Penn-Johnson reportedly averaged about 5.0 points and 4.0 rebounds as a reserve last season for Wasatch Academy, which finished 24-2. He’s regarded as a solid rim protector who has a 7-foot-6 wingspan. Conceivably, Penn-Johnson is an ideal fit in the middle of Washington’s 2-3 zone. 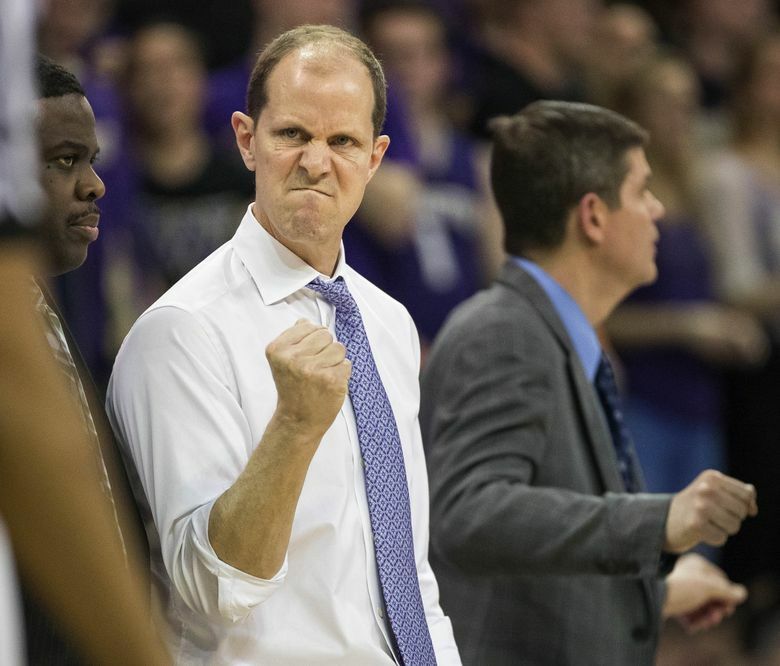 He adds size and bulk to an undersized UW frontcourt led by All-Pac-12 forward Noah Dickerson and includes junior Sam Timmins and freshman Hamier Wright. Dickerson was an offensive force, but the Huskies struggled defensively against opposing big men and ranked ninth or lower in the Pac-12 in three major rebounding categories. Washington’s 2018 recruiting class ranks fourth in the Pac-12 and 25th nationally, according to ESPN. With just one departing senior on scholarship – Dan Kingma – the Huskies may need to restructure the roster to comply with the NCAA limit of 13 scholarship players. Washington has 11 players with eligibility and could bring in as many as five newcomers. Here’s a look at Penn-Johnson’s highlights.